In this novelette, set in 12th-century Japan, a young woman samurai encounters torment and betrayal when seeking a night’s refuge at a remote inn that people say is haunted. We uploaded the Kindle file yesterday at about 3pm MST, and saw that it was live in a couple of hours. 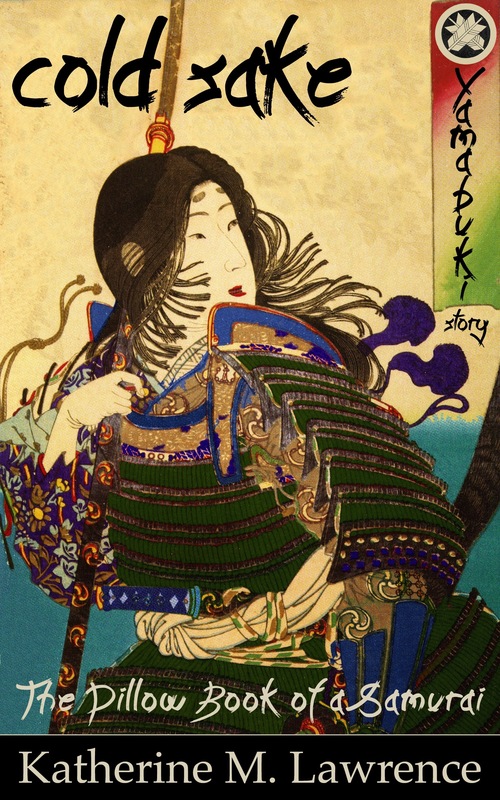 We are very proud to offer our first published book, Cold Sake, A Yamabuki Story (The Pillow Book of a Samurai) ! We’ll be publishing a paperback edition as well. Note that this book also includes an extended excerpt from Katherine M. Lawrence’s full-length novel, Haru (Spring), which we will be publishing soon. In fact, Haru (Spring) is the first of an epic 5-novel saga, Tales of the Autumn Creek Land, about the woman samurai Yamabuki in the years leading up to the Gempei Wars. Sign up for the Inkvine, our newsletter, to get all the latest on new releases and promotions. Right now, the novelette is available only on Amazon Kindle. We are just getting going on the ebooks publishing world and decided to take one thing at a time. However, we will be offering the book through other sites and for other devices in about 89 days. And well before then, we will be publishing a paperback edition as well. This was what took me off of the NaNoWriMo path, but has been a very rewarding experience. It’s a privilege to work with Katherine M. Lawrence. This first novelette is but the beginning.